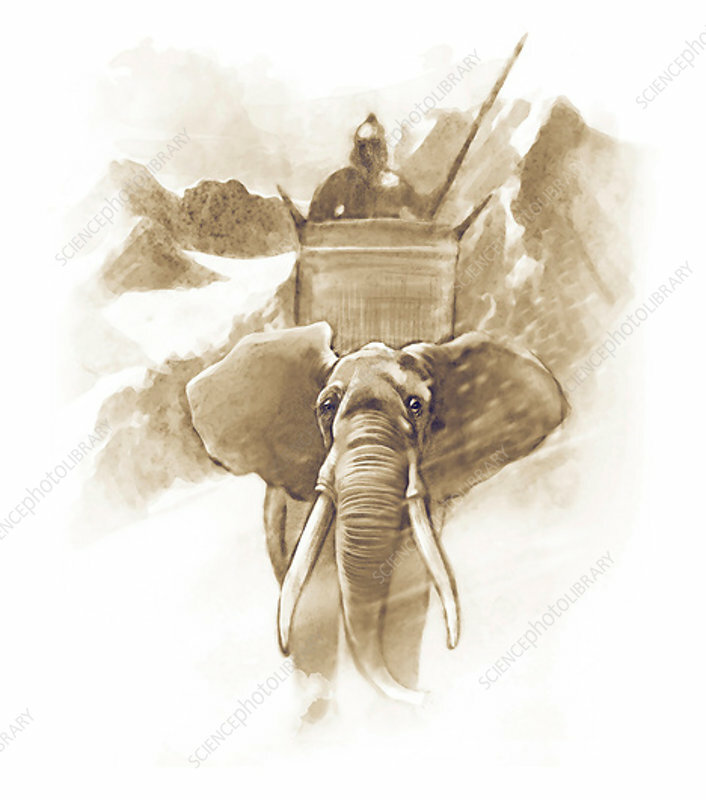 Hannibal mounted on a war elephant, illustration. In the Second Punic War (between Carthage and Rome), Carthaginian general Hannibal (247-182 BC) led an invading army that included war elephants, occupying much of Italy for the next 15 years. He was later defeated in North Africa by the Roman general Scipio Africanus. Hannibal's crossing of the Alps with his war elephants took place in 218 BC.